How do I name and rename projects? From the Editor: Simply, click on the Project Settings Icon to the right of the Main Menu. 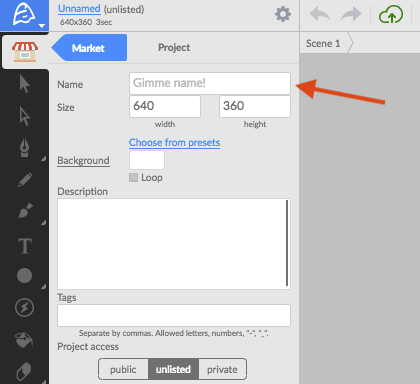 Then, rename or type a new project name into the provided text entry box. (by default, new projects are named "Unnamed"). 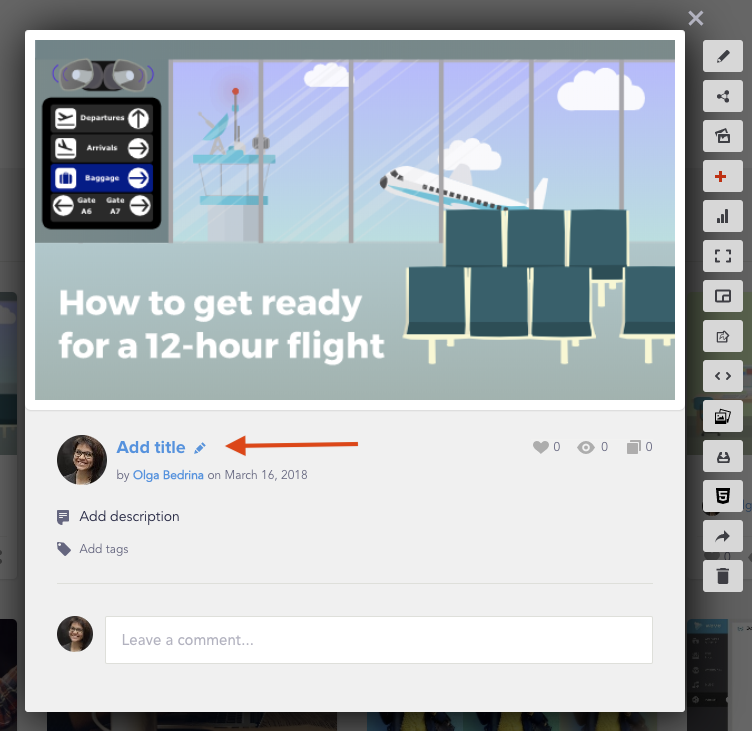 From your Account Gallery: While viewing a project preview from your Account Gallery, click on the Project Title to the right of your Profile Thumbnail. Note: If you are not the Original Author of the project, you may be blocked from renaming the project, depending on the original author’s Privacy Settings.